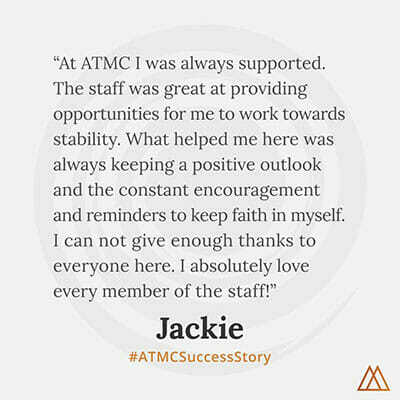 This entry was posted in Recovery, Success Story on July 31, 2009 by ATMC Team. I believe that this experience is the biggest and most painful successes that I’ve ever gone through in my life. For me, the program worked. I was really optimistic when I was first starting the program. I thought that it would all be easy and that I would not have any problems. While I was doing the chelation I noticed that I had been getting less and less sleep each night; only 2 or 3 hours. On day six into it, I just could not handle this anymore. I was feeling intense pain and lead myself to think that the program was not working so I booked an airplane ticket to leave and go home in less than one week. I really want to deeply thank Alternative to Meds Center for sitting me down and taking the time to speak with me. Alternative to Meds Center saved my life. After the talk I had with them, I then accepted the program, I was thinking much more positively. The one thing that I want to say for this program is, “you have to want to be better.” There is no one in the world that can do this except for you. I believe that this experience is the biggest and most painful successes that I’ve ever gone through in my life. For me, the program worked. I did have doubts, but knew that if I left Alternative to Meds Center I never would get better. Thank you Alternative to Meds Center!